My guilty pleasure is going to Panera Bread on a Saturday morning with David and ordering a cup of their french onion soup and a bowl of their macaroni and cheese. It is so deliciously bad. We have to stop ourselves from doing this every weekend. It has become so routine that we are starting to recognize other routine customers! There is this adorable old lady that drinks a hot coffee and eats buttered toasts in her booth before taking a nap and a little family of three that come for lunch and share soup with their toddler. And, there is us. 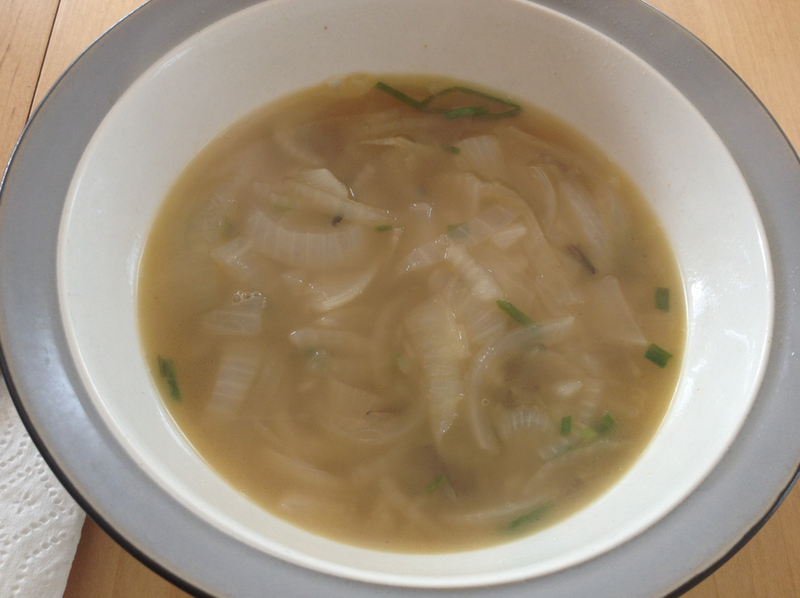 This weekend to avoid our habit, I decided to make onion soup at home. How difficult could be right? Heading over to my go to cooking blog smitten kitchen, I located her vidalia onion soup with wild rice and got started! When the recipe was completed, onions sautéed, herbs dipped into the broth, crostini baked, it was clear that we made the right choice to do it ourselves at home. AH! I cannot describe how delicious this was. The blue cheese on the crostini added a nice bite to the soup and the herbs (which I tied together with twine and mixed in for 5 minutes forgoing the cheesecloth bundle in the recipe) made the broth incredibly flavorful. Instead of heading to Panera, I am looking forward to enjoying the leftovers today and tomorrow.